Ever wonder where the term “sustainability” came from? Well, wonder no more. It was the creation of Dr. Gro Harlem Brundtland, the world leader who set us on a path to recognize that prosperity, human health and environmental sustainability were not three things, but one. Her father, a physician, was an active part of the Norwegian political sphere, serving as doctor to the king and prime minister. Later he became the country’s Secretary of Defense. 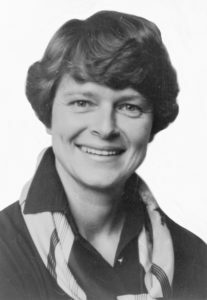 Brundtland followed in his footsteps, also becoming a physician, in her case specializing in public health. With her MD in hand, she worked with the poor and especially with women needing information and services about their reproductive health. She was a leading advocate for the right of women to choose the course of their pregnancies, including the availability of abortion. So, when the prime minister asked to meet with her in 1974, she expected it was about her father’s work or her position on abortion. No, the prime minister said, nothing about that. He wanted her to become Norway’s Minister of the Environment. Initially shocked, she accepted, at 35 becoming the first woman environmental minister in the world. The Norwegian government in the 1980s was in a state of flux, with ruling parties changing regularly. 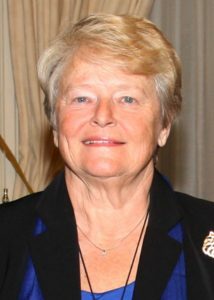 Brundtland was a member of the Labour Party, and when it came to power in 1981, she became Prime Minister. The job lasted only eight months before another change in ruling party ousted her. But twice more she returned as Prime Minister, both for much longer terms than her first. Between posts as prime minister, she took on another monumental task, the one which made her name a household word. The Secretary-General of the United Nations asked her to chair a new independent commission to look at the environment. Once assured that she would have free reign to lead as she thought best, she agreed, and the work of the World Commission on Environment and Development (WCED) began at Christmas, 1983. She insisted that WCED view the goals of prosperity, health and environment as a comprehensive topic. Before that time, environmental quality had been considered an afterthought—something to be cleaned up after economic development had worked some sort of magic. Along with the full-time executive director of the commission, Jim MacNeill, a Canadian diplomat, Brundtland set out to convince the world that a prosperous and healthy world could only occur if the environment was healthy as well. She and the members of the commission—chosen equally from developed and developing countries—went around the world holding hearings and tours in places where poverty and environmental degradation were living together. They issued their report in March, 1987, as the book Our Common Future (see the calendar entry for March 20). Under Brundtland’s leadership, WCED coined a new term: Sustainability. Today we would say that the term and its underlying premise went viral. The vision of Gro Harlem Brundtland brought her nearly universal approval. She began earning nicknames—the Green Goddess, Earth Mother, Mrs. Green and Godmother of Sustainable Development. Norwegians called her Landsmoderen, Mother of the Nation. She was the most popular Norwegian Prime Minister in history. Nielsen, Larry A. 2017. Nature’s Allies: Eight Conservationists Who Changed Our World. Island Press, Washington, DC. 255 pages.